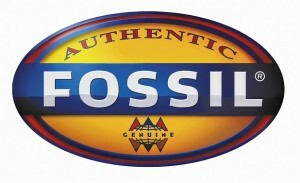 Fossil has branches in several different countries, including Germany, the UK, and Australia, but their USA store has the widest selection of products. 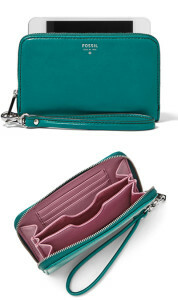 Many of their latest styles aren't released overseas until several months after they hit US stores, and in some cases they may not be available internationally at all. Instead of having to wait or missing out on the hottest new styles, why not use our shopping service to quickly and easily deliver them right to your door? Here at Big Apple Buddy, we take care of all the details for you and we ship to over 110 countries around the world, including Australia, Austria, Belgium, Canada, Denmark, France, Germany, Hong Kong, Ireland, Israel, Italy, Japan, Kuwait, Malaysia, the Netherlands, New Zealand, Norway, Saudi Arabia, Singapore, Spain, South Africa, Sweden, Switzerland, Taiwan, Thailand, the United Arab Emirates and the UK. 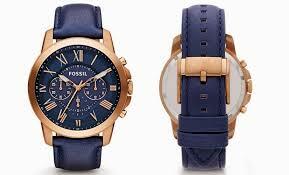 If you would like to buy from Fossil USA, but you live outside of the U.S. contact us for a free shipping quote!